Fact Friday: What are GMOs? Are they good or bad? 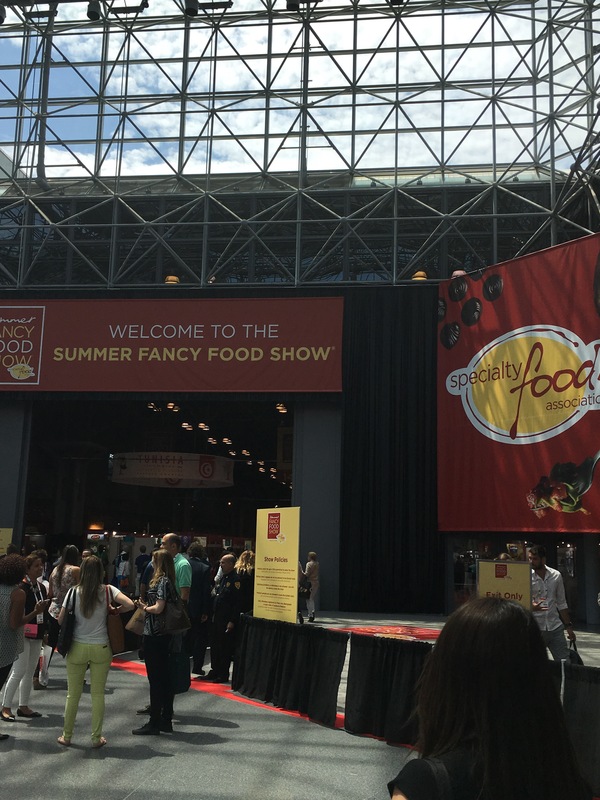 This week I had the pleasure to go to NYC’s Summer Fancy Food Show. It was booth after booth of food. While it was absolutely amazing, I was struck by the sheer # of people whose top claims on their products were non-GMO, organic, & gluten free. Don’t get me started on gluten free. If you don’t have Siliac’s disease or a gluten intolerance, your body can digest and process gluten. Of course you feel better when you don’t eat lot gluten… Because who feels great after eating an entire box of pasta and bread followed by cake? No one. Downing an entire box of gluten free pasta won’t be any better for you. Eat your gluten. Rant over. Here is what I came out with (plus some additional research) on the Cons AND Pros of GMOs. GMOs are genetically modified organisms. What I had originally thought was that they were genetically modified mainly for size. For example, if you had a big tomato and a teeny tiny one, extract the genes from the big one and continue to grow that strain so you always have big tomatoes. It would be similar to if you wanted a blue eyed baby to make sure both parents had blue eyes only… (Hopefully we NEVER do that! But you get the idea). The reason we need to do that is our population is growing so we need more food. 1. Pesticide Resilience: A lot of companies started making food that was resilient to pesticides, that way they could plant a field, spray pesticides all over the plants and the food would survive but all the weeds and bugs would die. This is bad for 2 reasons, 1- harsher pesticides that we could possibly ingest, and 2- using stronger pesticides leads to super bugs and weeds that you need even stronger pesticides to kill and so it perpetuates the vicious cycle. 2. Single Strains of crops. In Mexico, there used to be hundreds of different strains of corn. If there was a blight, it may only affect a few select strains of corn and the rest would survive. With the GMOs, because they are more resilient (like super plants) they are starting to take over the heirloom crops and effectively make other strains extinct. Think of the potato famine in Ireland. Because there was only 1 kind of potato planted, all the potatoes in the blight were affected- therefore no potatoes survived. Same idea. If we wipe out other strains of foods and there comes a bug or something that kills it…. There goes your entire crop. 3. Monarch Butterflies: ever wonder why the symbol on the Non-GMO icon is a butterfly? Monarch butterflies rely on milkweed to survive. The monarch butterfly lays it’s eggs only on milkweed because that is all that the caterpillars eat. The pesticide glycophosphate has basically eradicated milkweed so the butterfly can no longer migrate up to Canada and there are about 50% less butterflies in Mexico. What’s interesting though is, milkweed is still a weed, and farmers don’t want it near their crops, so where is the fine line of farmers making a profit on their crops and the future of butterflies? I found this to be a great article. What some people are thinking is to strategically plant milkweed for butterfly survival, that way it isn’t naturally occurring in farmers fields but still there for butterfly food. 4. 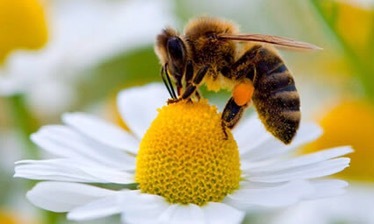 Honey Bees- what would we do without bees to pollinate our crops? This is another theory, that the pesticides are contributing to the loss of bee colonies which would be devastating to agriculture. Again, this is where the science comes in. Is this actually true? There are many factors leading to the decline of the bee, pesticides may or may not be one of them. I found this article interesting. Now you may be asking the question, why do we need pesticides? Pesticides are used to control various pests and disease carriers, such as mosquitoes, ticks, rats and mice. Pesticides are used in agriculture to control weeds, insect infestation and diseases. There are many different types of pesticides; each is meant to be effective against specific pests. This article by the Environmental Protection Agency goes into the different types. They help control West Nile virus, Lyme disease, bird flu and rabies. Microorganisms, including bacteria, viruses, and protozoans, can cause microbial contamination in hospitals, public health clinics, and food processing facilities. LASTLY, Why do we need GMOs? With the world population increasing, we have been able to produce more food per acre than before. More food on less land. Also, most GMOs have been modified to actually be BUG resistant (NOT pesticide resistant) so for particular crops it has reduced insecticide spraying (which is good). They have also increased crop production. With increased yields of crops, there is less hunger, more profit for the farmers and it has lifted economies out of poverty. Some crops are also modified to have better photosynthesis or to be self fertilizing. This quote was pulled from a large amount of research and I really couldn’t agree more. Most of the perceived ills of genetically modified foods are either illusory or far smaller than believed. And what the data suggests is that the benefits, while modest in the rich world today, might be quite substantial in the future, and are already much larger in the parts of the world where the battle over GMO approval is most actively raging. GMOs are neither poison nor panacea. What they are is a toolkit, a varied one, with real benefits to the environment and millions of people today; with the real potential to have a larger positive impact immediately if they’re allowed to; and with the possibility of a dramatically larger benefit down the road as the science behind them improves. Read the full article here I think it would be beneficial to have GMO labeling for people that this is a concern for so you can be well informed but I don’t think this science is bad in it’s totality. So what does this mean for you and me? For me, I thought it was interesting information and things I hadn’t really thought about. Will I only buy non-GMO food now? Probably not. Do what the information what you will, but this is something the farmers and governments will be battling out I’m sure. For now, I have a family to feed and whether my kids eat non-GMO organic strawberries or regular it doesn’t matter much to me as long as they are eating fruit. With how quickly they devour said fruit, I can’t afford the non-GMO organic option, and honestly I don’t think it matters.